Protect the Peaks! 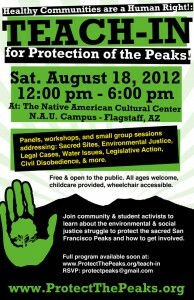 - San Francisco Peaks Teach-in: Healthy Communities are a Human Right! Healthy Communities are a Human Right! 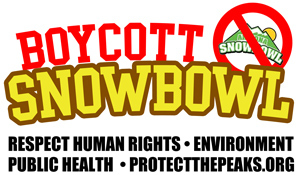 Sacred Sites, Environmental Justice, Legal Cases, Water Issues, Legislative Action, Civil Disobedience, & more. 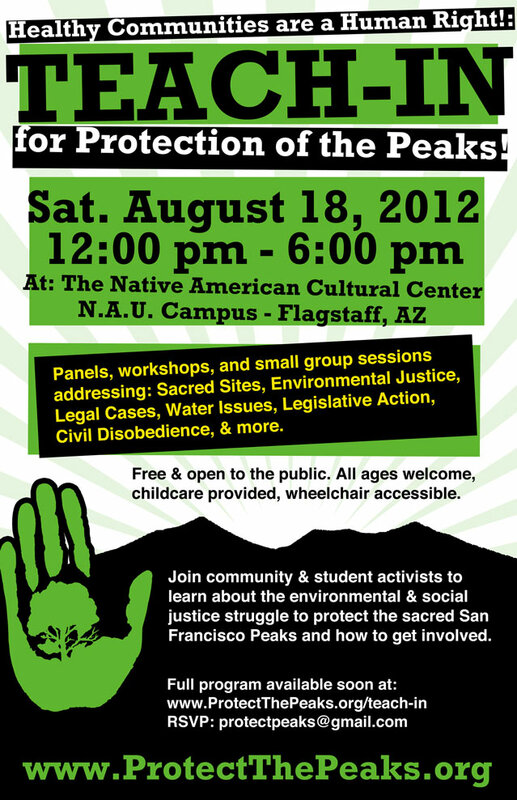 Join community & student activists to learn about the environmental & social justice struggle to protect the sacred San Francisco Peaks and how to get involved. Free & open to the public. All ages welcome, childcare provided, wheelchair accessible. LOCATION: Native American Cultural Center @ NAU. Home Event San Francisco Peaks Teach-in: Healthy Communities are a Human Right!